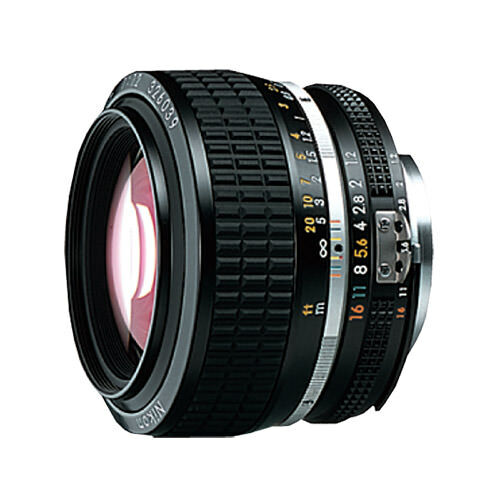 Lens Description: High-performance compact and lightweight manual focus lens features a fast f/1.2 aperture. Photography Life Review Summary: The 50mm f/1.2 Ai-S is a classic NIKKOR lens that is still being manufactured today, thanks to its impressive f/1.2 aperture and superb performance. While the lens suffers from spherical aberration issues at the maximum aperture, the lens performs exceptionally well once stopped down to f/2.0 and smaller. 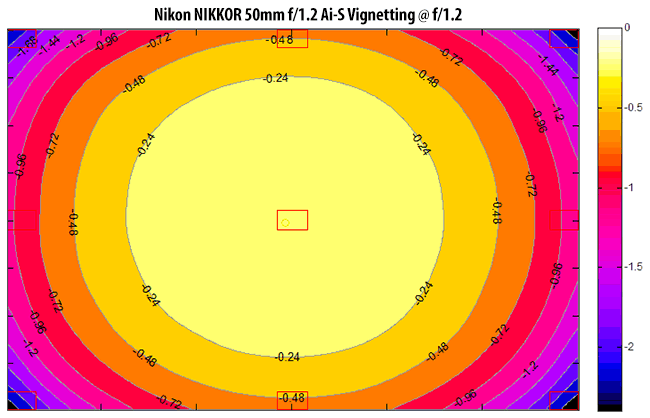 As of today, it is the only Nikon lens that was able to surpass the 3600 mark in our Imatest lab tests, when mounted on the high resolution Nikon D800E DSLR. Read the full Nikon NIKKOR 50mm f/1.2 Ai-S Review by Photography Life. The lens suffers from spherical aberration issues at the maximum aperture of f/1.2 and f/1.4, so its performance is quite limited across the frame. However, once stopped down to f/2.0, aberrations are dramatically reduced, resulting in much higher performance. By f/2.8, the lens yields excellent sharpness in the center and in the mid-frame. There is a little bit of focus shift when jumping between f/1.2, f/2 and f/4. Field curvature is definitely present, which explains the lower performance of the mid-frame and the corners when compared to the center. Peak performance is reached at f/4.0, where the lens passes the 3600 mark in the center – sharper than the Sigma 35mm f/1.4 and sharper than any other Nikon lens that we have tested to date. Corners also pick up significantly by f/4. The best overall performance is reached at f/5.6, where the lens shows very good sharpness throughout the frame. Distortion is a little on the high side for a lens of this class. Imatest measured barrel distortion at -1.55. Unfortunately, since neither Lightroom nor Camera RAW have built-in lens profiles for this classic, all distortion corrections have to be carried out manually. Hi guys and thanks for the review. Agree great lens but nothing really super special about this glass. I had it and I had Sigma 50mm 1.4 newer version. I liked the Sigma better. This is my personal opinion though. These days I use Sony 50mm f/1.8. Excellent lens too and that one cost $120. Vladimir, it certainly has a lot of weaknesses, but some people really like the look you get from the lens at largest apertures. One of our readers will be doing a full review of this lens within the next few weeks. Maybe I have a different version of this lens, but I bought my first Nikon FE back in May 1979 & the 50 mm f 1.2 lens with it at that time. I found the lens to be very good I am not sure what I should be looking for with the flaws you & the other guy mention. I am no pro but I am telling you that lens is fantastic, I still have & use it on my D 300s, the last time just a few days ago it worked very well. I am not as fast as I used to be at focusing since af lenses made me lazy, but it worked well after 35 years of service. Please advise what & how I can detect the flaws you mentioned & I’ll get back to you asap.